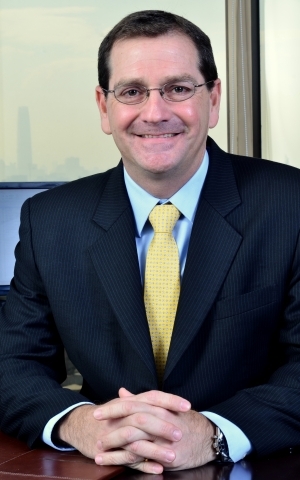 Argo Group International Holdings, Ltd. (NASDAQ: AGII), an international underwriter of specialty insurance and reinsurance products, today announced the appointment of Jorge Luis Cazar León to lead the company's Latin America business, which includes insurance and reinsurance operations in Central and South America. Cazar takes up the role with immediate effect and will report to Jose A. Hernandez, head of international. "Argo Group has built an impressive international platform, and I'm pleased to have Jorge join the team," said Hernandez. "His strong leadership skills and experience fully align with the international growth aspirations we have strategically established for the company." With more than 25 years of industry experience, Cazar joins Argo from Chubb Group where he most recently served as division president, international accident and health (A&H) business. He was appointed regional president of ACE's Latin America operations in 2006, a position he retained after ACE's acquisition of Chubb in January of that year. Prior to that, Cazar served as senior vice president, A&H, for the company's Asia Pacific region; regional vice president, A&H, in Latin America; and country president for ACE in Argentina and Chile. Before joining ACE in 2001, he held several leadership roles with CIGNA International, a global property and casualty company ACE purchased in 1999. He began his career at Bolivar Insurance Company in Ecuador. Cazar holds a bachelor's degree in political science and a law degree from Catholic University in Guayaquil, Ecuador. He is the former director of the Association of Insurers of Ecuador and former director of the Associacion de Aseguradores de Chile A.G.
Argo Group International Holdings, Ltd. (NASDAQ:AGII), is an international underwriter of specialty insurance and reinsurance products in the property and casualty market. Through its operating subsidiaries, Argo Group offers a full line of products and services designed to meet the unique coverage and claims handling needs of businesses in four primary segments: Excess & Surplus Lines, Commercial Specialty, International Specialty and Syndicate 1200. Argo Group's worldwide insurance subsidiaries are rated 'A' (Excellent) by A.M. Best with a stable outlook and its U.S. insurance subsidiaries are rated 'A-' (Strong) by Standard & Poor's with a stable outlook. For more information, visit www.argolimited.com.